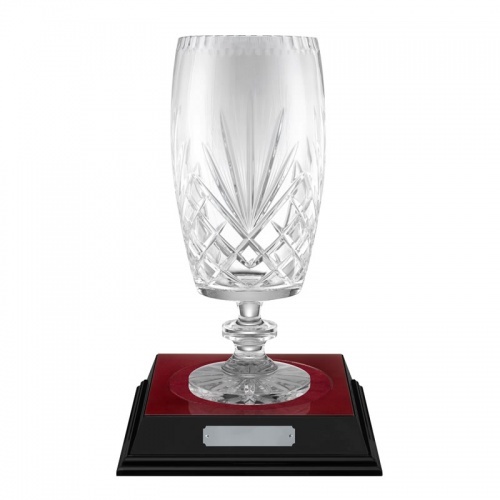 Superb clear crystal vase with handcut decoration and a blank panel for engraving. 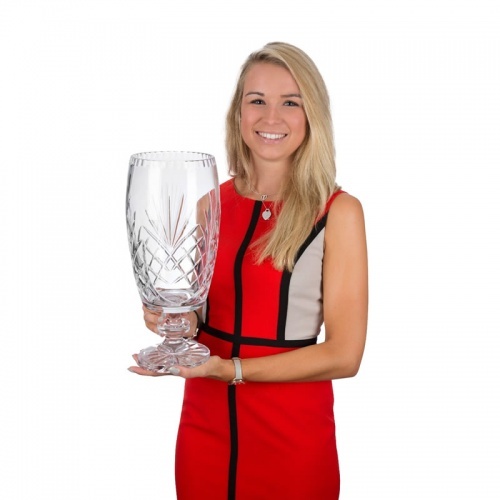 These 14in (355mm) tall vases are offered with an optional base to complete your presentation. The base has high gloss sides and a rosewood top with a red baize circular recess for the vase. They include an engraving plate.